In 2006, Patrick joined a European Graduate Trainee Program with rotations in Bedford in the UK, Philadelphia in the USA and then to Denmark where he currently works. He has eight years of Change Management and Project Management experience both as a Project Manager and Department Manager. With hands-on experience from a bottom-up Trainee Program, Patrick is passionate about self-development and development of others. Tom is an experienced, multilingual manager whose roles have taken him from his roots in the UK to Siberia and most places in between. With almost 10 years’ experience in Sales, Process Improvement and People Management Tom is a passionate believer in improvement and development. 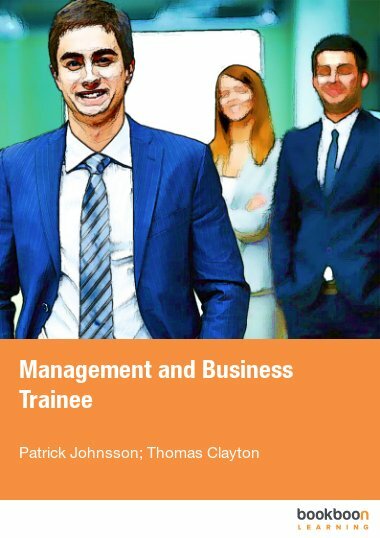 The Trainee Program Guide is the culmination of a three year project between them. The aim of the book is to tackle the issue of Graduate Programs in a general sense, using the authors’ own experiences, mistakes and achievements to provide advice and guidance in the early stages of working life.